Have you ever wondered, after seeing a play, what might have happened to the characters or even the physical structure in which the story is set, before the play began or after it ended? Bruce Norris’s ‘CLYBOURNE PARK’ does exactly that. Flash back to 1959, where, at the conclusion of Lorraine Hansberry’s ‘A RAISIN THE SUN,’ the black Younger family is about to move into the all-white Clybourne Park area of Chicago. Before the move, fearing the lowering of housing costs and white flight, the neighbors sent Karl Lindner, a bigoted community leader, to offer the Youngers money for not finalizing the deal. As it turned out, Lena, the matriarch of the family, refused the offer and the Youngers moved to a house numbered 406. (Re-enter Norris). The second act of CLYBOURNE PARK takes place in 2009. The same actors as in Act 1, playing different characters, are present. There is conflict as to whether the house, in what is now becoming a gentrified community, will be sold, leveled and a new structure built by a white family. African American Lena and her husband represent the local neighborhood association, and mention that her Great-Aunt moved her family to that house in 1959. (It is probably not by chance that the young lady has the same name as her Great-Aunt.) Racism enters as the blacks, who have rebuilt the neighborhood, don’t want white suburbanites to buy and change the character of the houses, many of which have been rebuilt to mirror their historical past. Does the viewer have to know all of the intertwining stories in order to appreciate the Norris play? No, but it does add a psychological jolt to realize that we are watching the blending of ideas of two great playwrights. It is also eye-opening to realize that Hansberry, whose ‘RAISIN IN THE SUN’ is considered the seminal black civil rights play, did not win a Pulitzer Prize for her script, but Norris did for his. One can only wonder if gender and race, subjects of both scripts, was a factor in Hansberry’s denial decision by the Pulitzer committee. I found the Broadway production of the play fascinating, nicely balancing the powerful message with well developed natural humor. The Cleveland Play House production is good, but under the direction of Mark Cuddy, there are disconnects. Some characters are realistic, others developed as caricatures. The pacing doesn’t build to the emotional climaxes. The development somewhat sets aside the serious nature of segregation, problems caused by regentrification, prejudice, and the language of hate. All of these are in Norris’s writing, but not always strongly present on stage. Part of the issue may be a lack of clarity as to what type of play this is, which sets the path for the pacing and character development. In the before-the-play talk the moderator indicated the play was a “farce.” Farce is defined as, “a light dramatic work in which highly improbable plot situations, and often slapstick element are used for humorous effect.” If this is the focus which director Mark Cuddy used, I can understand why I found the production somewhat lacking. The Broadway version was developed as a realistic drama with wickedly comic interludes which came naturally from the language of the play. Norris, who is an actor as well as a playwright, writes characters that live. The language and intentions are clear. The plot is probable. It could have been happening today in Cleveland’s Tremont, Ohio City or the Forest Hill area of East Cleveland/Cleveland Heights. All the actors play dual characters. One in the 1959 era, another in 2009. This requires the actors to develop two clearly differentiated personages. Remi Sandri is compelling as the father who is still grieving for his now-dead son. His inner rage at both the suicide of the boy and the virulent treatment towards his son by the neighbors, is clearly evident. The writing arch which allows him, as the second act workman, who finds a buried trunk in the backyard, to open a letter found inside, and read aloud the dead son’s suicide note, is heart-wrenchingly developed. On the other hand, both as his wife and a lawyer, Roya Shanks comes off affected, portraying characters, not real persons. Which, may be the issue with others in the cast who, I thought didn’t dig deeply enough into the motivations behind the real people they were portraying and, instead, gave the veneer of these people. 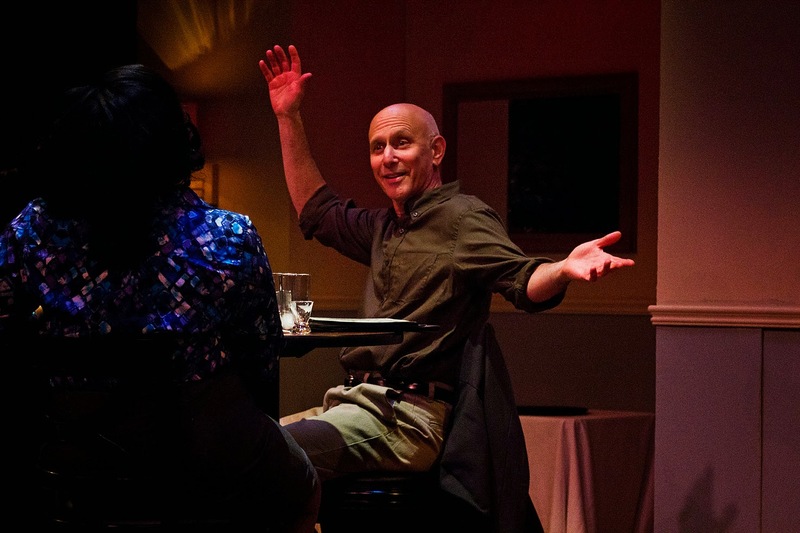 Bruce Norris says that his hopeful audience response to the play upon exiting the production is, “I don’t know what’s right anymore. I used to think I knew what was right, but I’m not sure I do.” Hopefully, the audience will grab enough from the CPH production to satisfy Norris’s goal. Capsule Judgement: Pulitzer Prize winning ‘CLYBOURNE PARK’ is an emotionally moving and thought-provoking script that effectively highlights the still present distrust between members of different races. 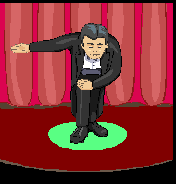 It does that while inserting enough natural humor to keep the audience engaged. It gets an acceptable, but not spellbinding production at CPH. It’s a significant play worth seeing. 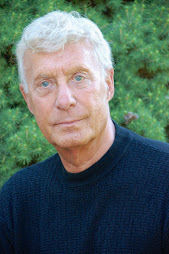 One of the most common questions I encountered as a counselor when working with someone who had just experienced the suicide of a family member or acquaintance was “Why did s/he do it?” Or, in confronting someone who was suicidal, the question is, “Why do you want to do that?” Ironically, most of the time there is no thoughtful answer. A humanistic psychology theory about suicide is that the person has come to the place in their life in which their basic human needs are not being met. They no longer feel the need to survive. Their life, from their perspective, is not filled with happiness. They feel insecure because of mental anguish due to physical or psychological long or short-term illness. They often feel that they have no way to control their own lives or the environment in which they exist. The important concept of that theory is the idea that suicide is almost always an emotional (feeling), not a logical (thinking) act. It is also based on personal perception. It often doesn’t make sense to the survivors. They, of course, are looking at the act from their perspective and in a logical manner. No, no matter how hard we try, we cannot feel the pain or anguish of someone else. 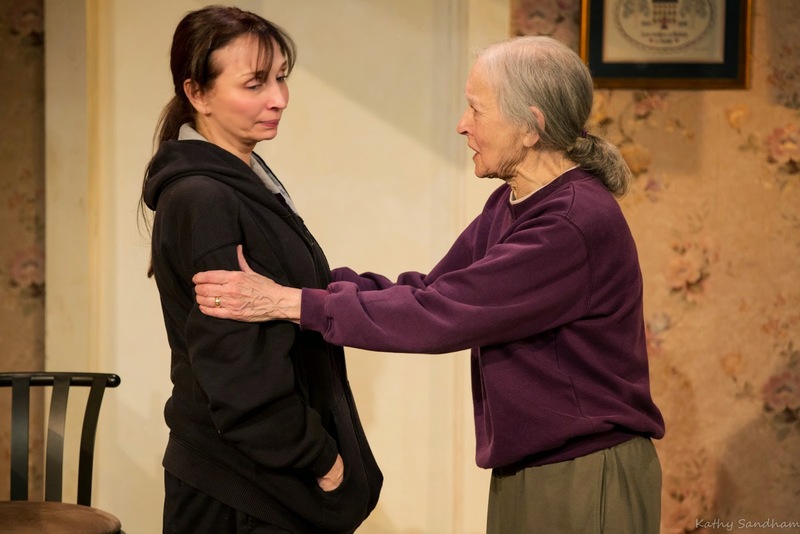 “‘night, Mother,” Marsha Norman’s Pulitzer Prize winning play, which is now in production at Beck Center for the Arts, is a play about two people in varying states of life’s pain. The approach of one, Jessie, the daughter, is to realize that her life, which is filled with depression, agoraphobia, seizures and isolation, is not going to get any better. She concludes, in her emotionally controlled way, that her life is not worth living. Her mother, Thelma, has lived a life with an emotionally distant husband who seldom spoke to her and hid from personal contact, has unproductive and disappointing people in her life, and has chosen to ignore that which surrounds her. She is dutifully going through the act of living. At the start of the play, we meet Jessie, cleaning her father’s pistol, putting bullets in it, and announcing calmly to her mother, that shortly, she is going into her room to shot herself. Before she does so, she gets the household life in order. She has already made arrangements for groceries to be delivered to their rural dwelling, thoroughly cleaned the house, filled the candy dishes, packed up presents for her relatives, and taken care of the day-to-day household activities. Jessie is ready. The duo spends their evening drinking hot cocoa, planning for Thelma’s weekly manicure, and talking about neighbors and relatives. There is such a calm attitude that it is almost astounding to believe that within a short period of time, Jessie is going to end her life. Or, is she? The audience may well be thrown off by the fact that there is no high drama, just an almost enveloping sense of the inevitable. This is a tribute to both Norman’s superb writing, and the masterful performances of both Dorothy Silver and Laura Perrotta. Their performances are a master class in acting. They clearly illustrate, with the aid of Scott Plate’s spot on directing, that high drama does not need screaming, shouting, and out-of-control projection. The audience is swept to the conclusion by their underplay and the calmness of the script. The power of the emotion is the power of words and controlled actions. One might ask, “Why doesn’t a mother, knowing that her daughter is about to commit suicide, hide the gun, call the police, intercede in some way?.” That questions shows a lack of understanding of depression, of living in a world of denial and thinking that logic prevails. Mental health people are aware that all things being equal, emotions override logic. These women are both, in their own ways, victims of lives of frustration and defeat. CAPSULE JUDGEMENT: Beck’s “’night Mother ”is one of the finest evenings of theatre one can experience. The script, the acting, the directing are all of the highest quality. It is not an escapist experience, but is an opportunity to look at an on-going issue of our culture and gain an understanding of how the lack of fulfillment of our basic needs has an effect on life decisions. It’s not for escapists, but for realists. This is an absolutely, must see for anyone who wants to participate in an all embracing theatrical experience. If one of the major purposes of theater is to make members of the audience feel and view things in a different light, then “Not By Bread Alone” has to be an unquestionable success. The “play” explores the hopes, dreams and memories of a group of men and women. It also explores their isolation, frustrations and loneliness. At the start of the adventure, the audience views a group of men and women, in chef’s hats and aprons, knead, shape and place dough onto baking sheets. Viewing these “bakers,” it quickly becomes obvious that they are not looking at the dough or speaking to each other. What’s wrong with this picture? The company was founded in 2007 and is now housed in their own performance space, which also has a restaurant connected to it, which is operated by the cast and similarly afflicted people. The complex is situated in a center in Jaffa, next to Tel Aviv. “Nalaga’at” means “please touch” in Hebrew. It is therefore not surprising that the company’s second show is entitled “Not By Bread Alone,” as the actions and contact feed the souls of both the performers and audience alike. During the performance the bread actually baked and the smell permeated the Ohio Theatre during the 75-minute performance. Following the last “line,” the audience was invited up on the stage to taste the “lechem,” (the Hebrew word for bread) and interact with the cast with the assistance of interpreters. As the play starts, each of the 11 actors is wearing a featureless mask. As the first scene unfolds, each, with the unobtrusive aid of a helper/interpreter, removes his/her mask as their story and identity is revealed. As the flow of ideas continues, we learn the hopes, dreams, and frustrations of being born, or becoming deaf and blind. In reality, only three can speak, mainly in Hebrew or Russian. Most are carriers of Usher Syndrome, an inherited disorder which usually causes blindness and accompanying deafness. Several are related to each other. Each, in their tales, report the importance of interaction and a desire for human connection and the need to communicate. They have learned to do so through learning Russian and Hebrew sign language, touch-signing, glove language (each joint on the hand symbolizes a letter and is typed by one person on the hand of another), and Braille. Several wear hearing aids which helps them distinguish sounds. The sound of a drum beat occasionally is heard. This is a cue that announces the start of a new scene. The actors feel the vibration and are aware of the need to transition to the next experience. Those expecting the actors to present a plot driven show, like those presented by the now defunct Cleveland Signstage Theatre (also known as Fairmount Theater of the Deaf), may be disappointed. In reality what is performed are a series of what some might perceive to be awkward vignettes. There is a wedding, a visit to a hairdresser, a trip to Italy which includes “seeing” the Pope, and some Laurel and Hardy slapstick routines. Hokey, yes, but they are acting out the “bucket list” wishes of the cast and are performing within the limits of their physical restrictions. CAPSULE JUDGEMENT: “NOT BY BREAD ALONE” is everything good theatre should be….a thought- provoking, experience-broadening, emotionally inspiring experience that should open the eyes and hearts of the viewer. Mazel tov to Adina Tai and the Nalaga’at Deaf-Blind Theater Ensemble of Israel. 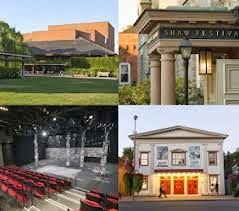 The Shaw Festival is one of the two major Canadian theatre celebrations, the other being The Stratford Festival in Stratford, Ontario. Both are professional,, high quality venues. The Shaw Festival, which runs from April through October, is a tribute to George Bernard Shaw and his writing contemporaries. Many Clevelanders take the four-hour drive up to “The Shaw,” as it is called by locals, to participate in theatre, tour the “most beautiful little city in Canada,” shop, visit the many wineries, and eat at the many restaurants. “Cabaret” (April 10-October 26) Kander and Ebb’s award-winning musical tells the story of a seedy nightclub in 1930’s Berlin where a young English performer strikes up a relationship with an American writer, all while a zealous Master of Ceremonies commands the action at the Kit Kat Klub. “The Philadelphia Story” (May 15-October 25) A classic romantic comedy by Philip Barry which tells the story of a socialite whose wedding plans are complicated by the simultaneous arrival of her ex-husband and an attractive journalist. “The Philanderer” (June 26-October 12) Shaw’s comedy of one man and two women who are caught in a battle between modern ideas and conventional romance. This production will include the “too daring” original final act. “The Charity That Began At Home: A Comedy For Philanthropists” (April 25-October 11) St. John Hankin’s comedy probes the idea that anyone can be kind to the pleasant, but who will care for the mean? “The Sea” (June 3-October 12) In a mix of comedy and politics, author Edward Bond questions whether extraterrestrial aliens are about to invade. “A Lovely Sunday For Creve Coeur” (June 28-October 11) Tennessee Williams’ rarely produced one-act comedy, set in the mid-1930s, the play focuses on four women struggling for a sense of identity and independence. “Arms And The Man” (April 4-October 18) Worlds collide in this Shaw romantic comedy when two opposing soldiers vie for the heart of an idealistic young woman. “When We Are Married” (May 7-October 26) J. B. Priestley’s comedy examines what happens when three upstanding couples, who are celebrating their joint silver wedding anniversaries, learn that none of them are legally married. “Juno And The Paycock” (June 28-October 12) Sean O’Casey’s tale of the happenings in a working class tenement during the Irish Civil War. 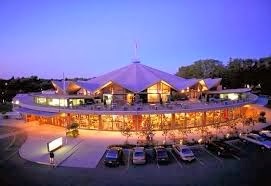 There are some wonderful restaurants including Queenston Heights Restaurant (http://www.queenstonheights.com). It is located in a park just over the US-Canadian border and has a breathtaking view of the Niagara River gorge. (Make a reservation and ask for a window table.) A real find is the Benchmark Restaurant at the Niagara Culinary Institute (http://www.niagaracollege.ca/dining), at which student chefs hone their skills. My in-town favorite is The Grill on King Street (905-468-7222, 233 King Street). Go to the Shaw Festival! Find out what lovely hosts Canadians are, and see some great theatre! Don’t forget your passport as it’s the only form of identification that will be accepted for re-entry into the U.S.
Walt Disney was an animator, cartoonist, producer, director, screenwriter, and the voice of Mickey Mouse. He won 22 Academy Awards. It is ironic that for a man noted for producing some of the most beloved and lovable visual characters, he was emotionally conservative, not often drawing attention to himself. Salvador Dali was an egotistical surrealist Spanish painter, who was noted for his bizarre and striking art images. His best-known piece was “The Persistence of Memory,” a melting clock. He “loved everything that was gilded and excessive.” He wore bizarre oriental clothing and colorful scarves. He loved to draw attention to himself, and freely expressed his views. The story centers on John Finch, an uptight, pedestrian Disney animator and his secretary/assistant, Alice Horowitz. He is working on the “Alice in Wonderland” project and has a crush on his secretary. She, much like the wonderland lass, is blonde and curious. The buttoned-down Finch has been assigned to oversee Dali’s animating the song, “Destino” in hopes of creating another “Fantasia.” Weekly, Monday meetings are planned. But Dali isn’t one for sticking to a project, following rules, or letting Finch and Alice lead their previous ordered existence. Yes, Dali believes that “anything is possible in painting and in life,” and turns into the Mad Hatter who stirs the simmering dreams of Finch and Alice. Obolensky’s surreal script isn’t extremely well written, but it does have enough bizarre lines and situations to hold the audience’s attention. There are lots of mind-bending visual effects, some confounding uses of lobsters, a couch which acts as Alice’s hole to wonderland, a green and yellow “Caterpillar,” a cleaning man, Alice’s former boyfriend, and, of course, Salvador Dali. Sarah Maria Hess, she of blond curls, a blue “ALICE IN WONDERLAND” dress, Betty Boop cutesy voice, and saucer blue eyes, makes for a delightful Alice Horowitz. Tom Coles is properly uptight as John Finch. Though the writing causes him to overplay a naïve twit, he carries off the characterization well. Grey Cross is hysterical as Dali. Complete with the famous “Dali waxed mustache,” he looks like the great surrealist. He walks, swishes, sashays and controls the stage with a bigger than life portrayal. Without Cross, the play would have gone down the hole and never come back. Beau Reinker plays multi-roles, including a Caterpillar, with a nice touch of irony. Director Clyde Simon keeps the action humming right along. Capsule Judgement: “Lobster Alice” is not a great play, but con-con gives it a surrealist production which should delight the theatre’s niche audience. If you want an evening of the unexpected and irrational, this could be your thing. “Lobster Alice” runs through April 5, 2014 at 8 pm Thursdays, Fridays and Saturdays at convergence-continuum’s artistic home, The Liminis, at 2438 Scranton Rd. in Cleveland’s Tremont neighborhood. For information and reservations call 216-687-0074. Con-con’s next show is the Cleveland premiere of ”Swimming in the Shallow” by Adam Bock, which runs from May 2 through the 24th. “The Westing Game,” also titled “Get a Clue,” is a 1979 Newbery Medal winning novel which has been transformed into a movie and play. The Newbery Medal is awarded by the Association for Library Service to Children for publications aimed at young people. The book/play centers on Sam Westing, a wealthy manufacturer, his sixteen potential heirs, and an attempt to solve the mysteries concerning his death. Was it a murder? If so, who did it? And, who will solve the crime and get the inheritance? The heirs are chosen to live in the Sunset Towers apartments on the shore of Lake Michigan, somewhere near Milwaukee. They are brought together by Westing with the intent of dividing them into groups of two, each set given some clues, all of which center on the lyrics to “America the Beautiful.” Each person is given $10,000 to play the game. This is their inheritance unless they are the one to solve the mystery. If they are the best detective, they will inherit Westing’s $200 million fortune and become the owner of Westing Paper Products. Sounds like a book, movie and play aimed at middle school audiences? It is, and that is both the positive and negative of the script. The plusses are that the play is family friendly, the language and plot are simple to follow, there are no objectionable words or situations, and it gives the cast a chance to create many interesting characters. The main negative is that the format is written by a book writer, not a dramatist. The form used is written language. Spoken and written language have different vocabularies and sentence lengths. It is often difficult to sound authentic while trying to speak written language instead of dialogue. Another problem is that the book format allows for the creation of multi-settings and actions , such as 14 different apartments and a restaurant, as well as explosions, that are nearly impossible for theaters, especially money-strapped community theatres, to create on small stages. The production incorporates some nice video designs by Jonathan Klein, thanks to the cooperation of the Tudor Manor Home in Euclid being opened to the theatre for filming due to the generosity of the Friends of Henn Mansion, a group dedicated to restoration and preservation of the manor. There is clever use of pictures of the cast of characters around the proscenium arch being lit up as the characters are identified and perform. There are some good performances in which real people emerge. Included in these are Cara Battagia as Dani, Meg May as the Judge, and Evan Graham as Theo. Some of the cast found themselves acting, rather than creating real people. Unreal gestures, and affected pronunciations made for problems. Some of this may have been caused by the script’s creation of unreal characters with little motivations to speak some of the lines. Opening night found some of the cast stumbling and forgetting their lines, resulting in a member of the cast feeding the errant cast members their lines. Cuing on-stage did help the verbally stumbling actor, but it is a frowned upon performance action. Capsule judgment: The tweens behind me expressed their satisfaction at the end of the play, as did the large audience who loudly applauded approval for their performing friends, relatives and neighbors. Thank you for a spot-on review of “Joseph”. My wife and I saw it Friday night and agree with all of your observations. I think Ms. DeGarmo was singing outsider her natural range. She appears to be a natural alto that was pressing to sing the high notes required of the part. At our performance, her schreeching singing didn’t abate throughout the entire performance. I read the PD review in which Ms. DeGarmo’s voice was described as “rich and warm”, absolutely the opposite of what it really was. We’ve seen a lot of theater over the years, and we agree with you that neither Ms. DeGarmo’s nor Mr. Young’s performances met the standard expected of a Broadway musical. Thanks for your honesty. 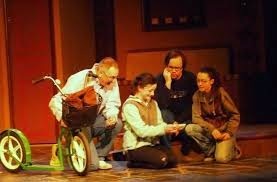 When a theatre’s Artistic Director selects a script to produce, s/he usually does so with the venue’s audience in mind. Bobgan knows his audiences well. They tend to be young, hip, to crave creativity, like off-beat materials, and are loyal to CPT’s mission. No Arthur Miller, “JOSEPH AND HIS TECHNICAL DREAMCOAT,” or “SUNSHINE BOYS,’ grace the CPT stage. They aren’t competing with Cleveland Play House, Great Lakes Theatre, Beck Center or Dobama. One of Bobgan’s “things” is devised theatre. Experiences that are developed based on a theme through director, cast and creative team working together. He also is not afraid to produce untested shows. His audiences tend to be fine with shows that aren’t completely polished or challenge traditional formats. As he says, “The CPT style of theater is really wide,” off the beaten path. It should come as no surprise, therefore, that for a musical, CPT is presenting the world premiere of “TITUS A GRAND AND GORY ROCK MUSICAL,” conceived and directed by Craig J. George, with music by Dennis Yurich and Alison Garrigan, with orchestrations and arrangements by Brad Wyner. “TITUS . . . MUSICAL,” is based on William Shakespeare’s first tragedy, “TITUS ANDRONICUS.” It is classified as one of his revenge plays and was very popular throughout the sixteenth century. It tells a fictitious tale of the latter days of the Roman Empire, when revenge, inner battles for the country’s leadership, and low moral levels were in vogue. It is undoubtedly one of the Bard’s most violent works, also one of his most maligned. Many historians believe that it was the lack of morals that led to the fall of Rome. If TITUS is any example of the goings on, there can be no doubt of the lack of ethics and respect for human life. “TITUS ANDRONICUS,” as well as the musical take-off of the script, ends with almost everyone dead, and bodies and body parts littering the stage. Why do such a play? Why spend the years of work to write a musical that has seemingly little redeeming value? Unfortunately, the play reeks of “now.” Think of the of the name calling and lack of civility toward the nation’s President. The South still can’t get over losing “the war of Northern Aggression” (the Civil War), civil rights for Blacks, Gays and women are often given lip service, if that. The US attacked Iraq on false pretenses to seemingly satisfy the ego-centric needs of the then country’s elected leaders. Is the tale of TITUS not a story that echoes the sounds and actions of today without the actual ripping out of tongues and slicing off of limbs? “TITUS . . . MUSICAL,” is neither a polished or well designed musical, but that probably doesn’t matter to the CPT faithful. It does incite the emotions, speaks to felt thoughts and needs of many in the targeted audience, and can excite and insight the viewers. The night I saw the show, the audience was rocking and laughing. Rocking with the overly loud music which drowned out the lyrics and laughing at the blood spurting, limbs being separated from bodies, the overacting and screaming of many of the cast, and the overblown farce. But, those actions, which would have been negatives in a traditional production, all worked for the intent and purpose of this script. Dana Hart, agonized properly as the well-meaning, but put-upon Titus. Amiee Collier effectively plays it straight as the widow queen. Her “Treature” was tenderly sung. Allison Garrigan reveled in the part of Tamora, the evilest of the evil. The rest of cast all fulfilled their violent over-blown parts. Martin Céspedes’ minalist choreography was well conceived and visually highlighted stage actions. Todd Krispinsky’s scaffold-leveled set, with Roman columns and influences, worked well, allowing for maniacal action. Jenniver Sparano’s multi-generational costumes, which combined sneakers with Roman sandals, and togas with jeans and t-shirts, helped blend the modernity with ancient times. Ben Gantose’s lighting effects, especially the abundant use of red spots and floodlights, helped heighten the gore. Brad Wyner’s musical direction was appropriate for a rock concert, but, this was a musical play in which the audience should have wanted to hear the lyrics. But the lack of hearing the words didn’t seem to bother many in the audience, especially a woman in the corner of the most upper level of the seats, who screamed, whistled and clapped to near exhaustion after every musical interlude. Capsule judgment: TITUS A GRAND AND GORY ROCK-MUSICAL is definitely a production that will not be appreciated by everyone. It should satisfy the targeted CPT audience who will rock out with the music, appreciate the present political implications of the message, and give it standing ovations for its gutsy creativity.